Gary and Sue dream of having a dog, but their Dad is allergic to dog hair! So Mum builds Chip the robot dog. Now they have a pet dog at last! Gary and Sue think their Robodog is brilliant – but the snooty neighbours laugh at Chip. They say he’s not a proper dog! 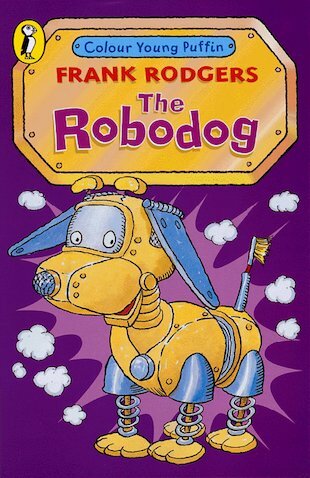 When the Robodog decides to prove them wrong, lots of giggles and muddles follow. But Gary and Sue love him just the way he is!